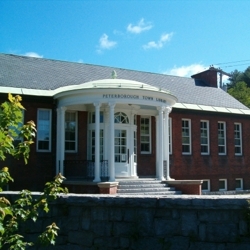 We are pleased to announce that Hoyle, Tanner has been selected as a subconsultant for the Peterborough Town Library Renovation & Addition for the Town of Peterborough, New Hampshire. This project kicks-off our affiliation with Centerline Architects, and we look forward to building this new relationship. The Library, established in 1833 and constructed in 1892, is the oldest publicly funded library in the nation. A significant increase in square footage, a new parking area, and site improvements will be part of this project. The Town’s goal is to renovate and expand the structure while maintaining energy efficiency. We enthusiastically welcome this opportunity to collaborate with Centerline Architects and make a positive impact in this historic establishment for Peterborough.